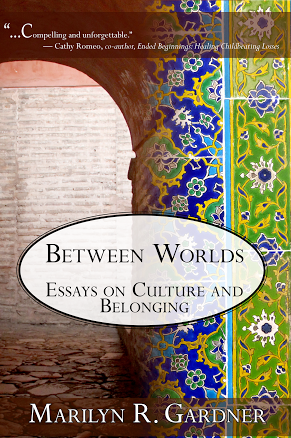 Last night was the official book launch of Between Worlds. My family was a tremendous source of help and affirmation as we moved into this event. And I was excited – to have people over, to serve Sangria and Proseco, crackers & fancy cheese, to have a summer party – and maybe to sell a few books on the side. But two hours before the event I suddenly went into a panic. Who did I think I was? Why would anyone want to come? How could I have ever thought that I could do this thing – this writing of a book? Worse – how could I possibly believe that it was worth reading? It was like riding a bike, my hair flying in the wind, so free, so excited – and then suddenly, I tripped over a curb and I lay there sprawled on the ground, bruised knees and ego, tears forming as unconcerned onlookers hid their laughter from this unfortunate little girl. These monsters of thought attack at our most vulnerable points and we’re left trying to fight them off with inadequate weapons. It was too late to cancel – and we had some mighty good food, so good in fact that I couldn’t bear to let it go to waste. Who should come to the rescue but someone I’ve never met who has encouraged me deeply these past couple of years. Because as I lay on the couch with my aching feet propped on Turkish pillows I opened my email to a message from someone who reads and has written for Communicating Across Boundaries – Jenni Gate of Nomad Trails and Tales. With her email came a moment of grace and clarity. Okay – Between Worlds will never be a best seller and who cares? What matters is the connections that have happened because of this book. The reconnecting with old friends, the making of new ones, the holding fast to truth about living between worlds and communicating that truth beyond my immediate world. So with that I moved forward and it was a great time! A time of talking and laughing, a time of meeting with others who know this journey, a time of introducing people to each other and having them recognize commonalities. This is the best of living between worlds – being able to connect at deep levels in places that all of us sometimes struggle to call home. Thanks for journeying with me! Here are a few pictures to take a look at and enjoy of the event. And a fun, 7 second video with my friend Heather. How about you? Where do monsters of self-loathing attack? Maybe not at a book launch, but surely, as humans we all experience this in some form or other. What do you do when they attack? Who comes to your rescue? 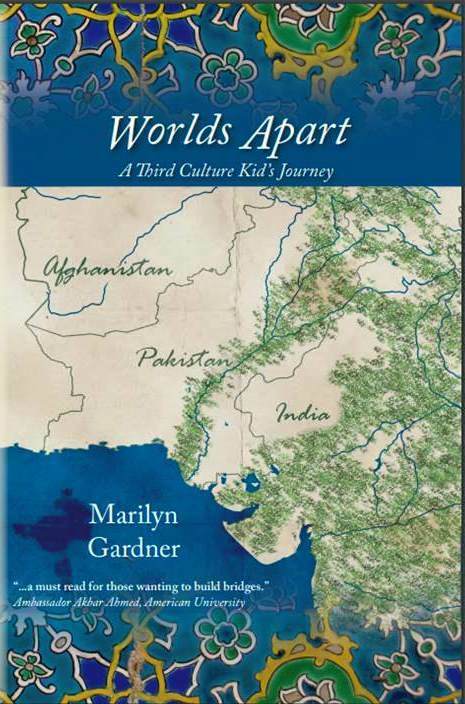 Book launch from Marilyn Gardner on Vimeo. Marilyn, have found this late but loved it all, especially that affirmation at the right time. Several of the remarks brought tears to my eyes as I see God’s goodness in picking us up again and again to do things that we’re convinced are beyond us. Just had the experience today again so this encouraged me. Bless you. Have lent your book out, recommended it often and read it more than once, even have it on my Ipad as well and travel with it. Oh, goodness. How I know that feeling. Many times it keeps me trapped or withdrawn – and I know that’s exactly where the Enemy wants me. To silence my voice. To dull, deaden and break my heart. To shame me. I have blogged a little but a couple months ago I became silent with these same thoughts. ‘Who am I to think that I have anything anyone wants to hear or can be encouraged by?” “You’re such a mess, how can you share any insight or wisdom?” And so, too, – not only from the accuser but lies which I have also believed and have said to myself. I took a little time aside this past week and reconnected with the truth of how I have taken on the identity of ‘loser’, ‘disappointment’. I have victory at times – step out in faith and trust in what Father is doing in my heart and life, but then I allow the voices back in. But this is not the space that I want or choose to live in. Yes, I do not just want to add to the noise but I want to have a voice – not just for myself but to proclaim that this loser and disappointment is beloved and redeemed. I love that first photo of you and Heather (that’s her name, right?! ), so great! Yay for your party and your book and the people you’re touching through it. So happy for you! Thanks so much for your support through this process Rachel- it means so much. I started my Third Culture Kid life in 1968 when my parents moved themselves and three under -sixes to Prague just after the Soviets moved in. I went to American Schools in Prague, Zagreb and Belgrade and English Convent School in London and a European School in Luxemburg. Now I’m settled in one place (not home exactly, cause where is home?) and I’ve just waved my eldest daughter off to Mexico. Finding your website was a real gift. Getting your book was wonderful. I’ve laughed over it, sighed with relief that others shared my experiences and cried too. Thank you so much for this lovely book. Oh Juliet- I love hearing some more of your story. I would love for you to consider doing a guest blog. And you have a whole different perspective coming from the UK as well. Thank you for these words about the book. You received the study guide, right? The study guide was great, thank you for that. I’m honoured and a bit overwhelmed by the suggestion I write a guest post but would love to discuss that further when you have time. You must be very busy with the book launch right now! Your book is FABULOUS! We are a family of 5, having worked in Nepal for the past 20+ years. Dad (UK), Mom (USA), 3 kids (2 passports each) who grew up in Nepal (remote and then capital city) and went to boarding school in India. So our family is familiar with 4 countries. Eldest son went to university in England and works there now, #2 went to college in the USA and now does NGO work in S. Asia. Our youngest (16) is just starting A levels at Hebron School in S. India, and en route, we read your entire book out loud to each other. He was very touched by so much of the book and hesitantly asked if he could keep the book and pass it around his dorm…I think that speaks volumes for how you’ve captured reality for TCKs. Now I have to order another copy for myself, and an extra copy to donate to the pastoral care office at Hebron School. I’ve recommended your blog far and wide…keep ’em coming! Oh I loved this comment so much! I got it first thing this morning and it was so encouraging. I read it aloud to my daughter and husband as we are traveling to drop her off for her final year of college. I love, love that your son wanted to take the book with him – how cool is that? Would love to chat with you over chai and talk about all these things. Thank you for this affirmation Barb! I’m way behind in reading your blogs and now able to catch up. You continue to amaze me with the diverse subjects that activate our thoughts. Keep up the good work! I wish I could have been there for your launch and would have loved hearing you read from your book. Giving birth to your very own book is an emotional experience like no other. God bless you. Sooo glad to have you back Bettie! I have missed you as have readers. Glimpses of your trip looked amazing. And it was a gift to see you in Colorado. So great to see you Aaron. Thank you for being a part of this. Marilyn, I wish I could have been there in person for you! But happy I played a small part in boosting your confidence for the day. I’m so happy you wrote this book. I found parallels to my own experiences all the way through. You actually played a huge part Jennie. I can’t thank you enough. You and your writing are SO effective at forging connections BETWEEN WORLDS exactly BECAUSE of the cultural humility with which you approach everything. Congratulations, again, Dear Heart!! Cathy – just thank you so much for everything. You should be receiving your book soon! Dounia- you were sure there in spirit. Thank you for your support felt in so many different ways. And I already have FIGT on my calendar for next year! So we will meet then for sure. I SO wish I could have been there! And who is the lovely lady in the blue dress who obviously loves your book. Glad to hear that Christi-Lynn got down to it. Love you much! And I loathe (?) perhaps not that strongly, but more like dislike, myself probably once a day. But the wonderful Grace of our loving God kicks in pretty quickly. Life is too short not to be thankful, joyful, and humble, too. It was wonderful to have Christi-Lynn! The lovely lady in blue is my friend Heather. We worked together when I first began at the state and have been good friends ever since. Wish you could have been there! So proud of you Marilyn!!!! This is your calling! Your struggles were there so you could help others. God is incredible. He is using you! Thank you so much Michele! I’ve always said that God doesn’t waste pain but there are times when I have struggled to believe it. Writing has helped tremendously.